The big takeaway from Tuesday's primary election results: Kathy Sheehan is in position to become the next mayor of Albany. Sheehan, the current city treasurer, won the city's Democratic primary for mayor 66-29 over former councilman Corey Ellis, according to unofficial results. * That margin isn't really a surprise -- Sheehan had big leads in polls from both late July and early September. Sheehan will now face Jesse Calhoun (Republican), Joseph Sullivan (Conservative), and whoever emerges from the Green Party. ** Because of the overwhelming enrollment advantage Democrats have in the city, something highly unexpected would have to happen for Sheehan to not win the general election. Albany has had just three mayors since 1942. When Jerry Jennings finishes his term this December, he'll have held the office for the last 20. A Siena poll out this weekend reported that Kathy Sheehan leads Corey Ellis in the Democratic mayoral primary 68-20 -- and that's with 92 percent of respondents saying they've either made up their mind or are unlikely to change it. problems are too large for any Mayor to address?" -- more than 70 percent said they think the mayor is capable of successfully addressing the problems facing the city. It'll be interesting to see how people react if a Sheehan administration hits some speed bumps. It's not like that's necessarily a low-probability event -- however well prepared and planned an administration might be, things almost never go exactly to plan. And Albany definitely faces some rough stretches, particularly in closing the city's budget gap. * Well, duh, they say they're going to vote for her. But sometimes people vote for the the candidate they think is the least-bad choice. 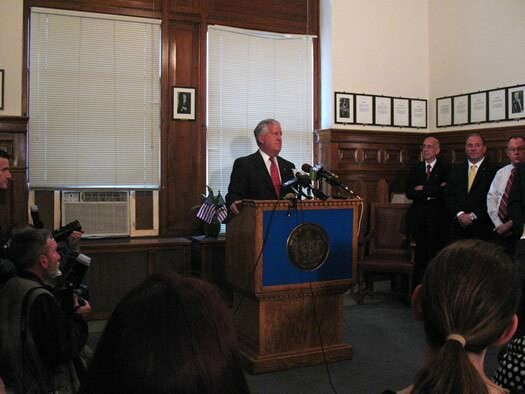 For the first time in 20 years, Albany will have a new mayor next year. The changeover is important not just for the city itself, but for the tens of thousands of people who go there each day for work or entertainment. Even if you don't live in Albany, what happens there probably affects you in some way. The key point in the process of electing the next mayor is next Tuesday, September 10, primary day. Because the voter registration in Albany is overwhelmingly Democratic, the winner of the Democratic primary for mayor will almost certainly win the general election. 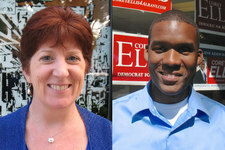 This week we talked with the two Democratic competing in the primary -- former common councilman Corey Ellis, and current city treasurer Kathy Sheehan. We asked them each the same set of questions on a range of issues -- from why they want to be mayor, to an aquarium downtown, to what books have influenced them -- and we're sharing those answers at length. The Q&A is set up so it's easy to scan and focus in on the questions that interest you. 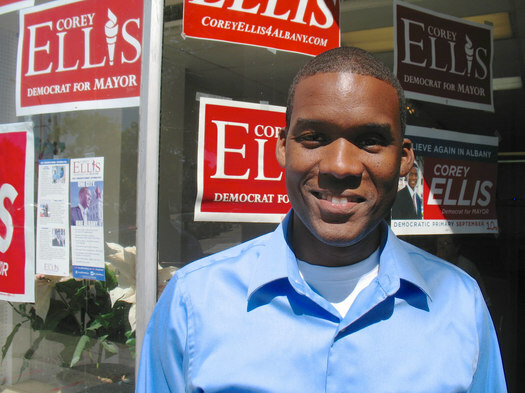 Corey Ellis. 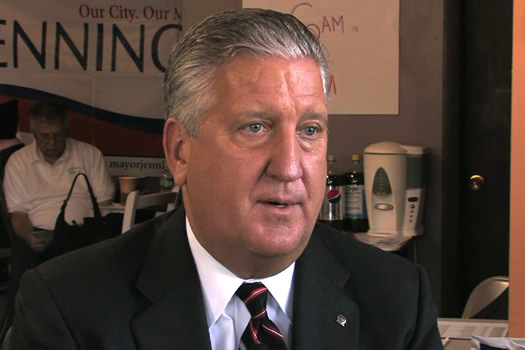 He also ran for mayor in 2009, losing to Jerry Jennings in the Democratic primary. 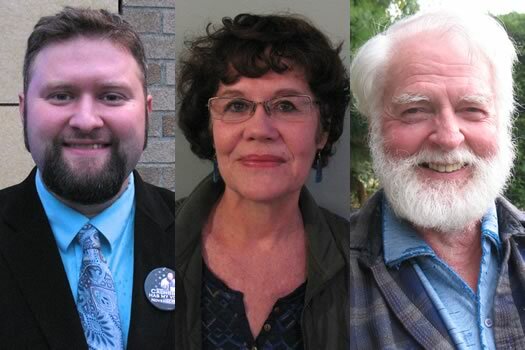 This week we talked with the two Democratic competing in the primary -- former common councilman Corey Ellis, and current city treasurer Kathy Sheehan. We asked them each the same set of questions on a range of issues -- from why they want to be mayor, to an aquarium downtown, to what books have influenced them -- and we're sharing those answers at length. The Q&A is set up so it's easy to scan and focus on the questions that interest you. Update: Here are the responses from Kathy Sheehan. 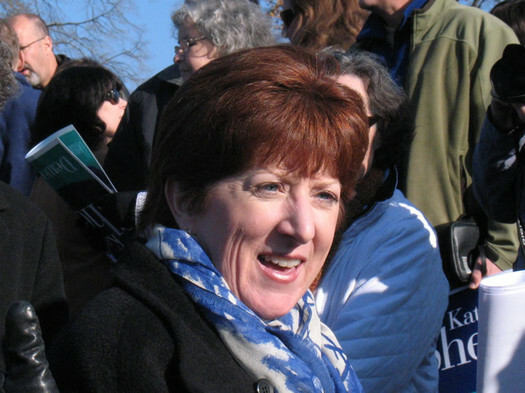 Sheehan after her announcement in Washington Park. 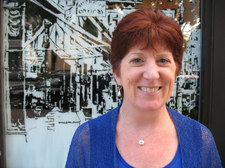 Kathy Sheehan officially announced this past weekend that she's running for mayor of Albany in 2013. The current city treasurer said her administration would have three priorities: "economic opportunity, rebuilding our neighborhoods, and putting our city government on a path to fiscal sustainability." And challenges the city faces, in her view: "poverty, inequality, disinvestment, and inefficient city government." I will use my management experience to put us on a path, a sustainable path. It starts by embracing 21st century technology that will allow us to analyze data for better decisions, anticipate problems so that we can resolve them proactively, and coordinate resources to make sure we deliver effective and efficient city services. Other initiatives she proposed: connecting city residents with new jobs at places like Albany Med, and focusing on converting vacant buildings to owner occupied housing. Of course, stuff like that sounds great on the stump. Actually making it happen is difficult. The upcoming race could be an interesting one. If Jennings does run, he'll be trying to get elected for the sixth time. Sheehan appears to be a formidable challenger. And the potential presence of Ellis (and maybe Egan) could also shake up the picture, perhaps splitting the opposition to Jennings. More coverage: Times Union | WNYT. Bonus bit: How mayors has the city of Albany had since 1941? The answer's post jump.